Shine up your cowboy boots, Adventures by Disney is going to Nashville! Have you ever wanted to visit Music City? Adventures by Disney Long Weekend trips allows you to discover exciting destinations and maximize your travel time with shorter trips. In addition to New York City and San Francisco announced earlier this year, Adventures by Disney is now offering a Long Weekend trip to Nashville, Tennessee. This 4-day/3-night getaway explores the home of country music, which serves as the backdrop for the critically acclaimed show NASHVILLE on ABC. 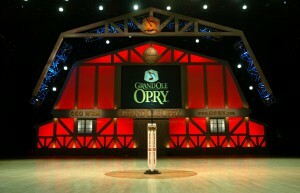 The Gaylord Opryland Resort will be your home for the weekend. From a backstage tour at the Grand Ole Opry and a visit to the famed Bluebird Cafe to a stop at The Hermitage, home of President Andrew Jackson and a chance to record a song in the historic RCA Studio B, you can enjoy a one-of-a-kind experience that includes the best of Nashville. Plus, with two Disney-trained Adventure Guides Adventures by Disney taking care of the details, you will focus on having fun together as a family. Get ready Baltimore on August 26 at 9pm a new Casino will makes it debut! This Casino is owned by Caesar’s Entertainment, they also own a number of properties all over the U.S. and of course PLENTY along the Vegas strip. I have had the pleasure of visiting many of these Casinos and can’t wait to see what this new addition to Baltimore looks like. Located right on Russell Street in the heart of Baltimore the Horseshoe Casino has easy access from 95 and 395, it will also offer Free Parking. Hello, you had me with that one. Free Parking, in the city! It is also situated right in the heart of our stadiums so after a big O’s or Ravens Win keep the party going and head to the Horseshoe. 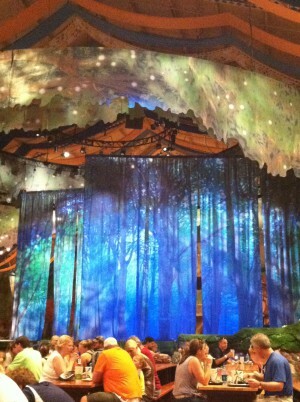 The Casino itself will offer 2500 of the newest slots and over 122 table games as well as a World Series of Poker Room. Maryland just entered the big time in the world of casinos. With 5 great restaurants you wont run out of fantastic offerings including a Jack Binion’s Steak, Johnny Sanchez, Guy Fieri’s Baltimore Kitchen, Baltimore Marketplace and Ruby 8 Noodles and Sushi. I for one cant wait to try Guy Fieri’s! If you are looking for a little nightlife then look no further than 14Forty, open 24 hours/7 days a week. The Horseshoe Baltimore will also feature Twisted Yard Bar, B’more Beers and TAG Bar. What more could you want when it comes to dining and entertainment. While this is a stand alone casino without an adjacent hotel there are many partner hotels in the Baltimore area close by that you can choose from. The Sheraton Inner Harbor and Hyatt Regency will offer FREE shuttle service from 4pm-3am, seven days a week. So who is ready to head to Baltimore and try their luck at the BRAND NEW Horseshoe Casino? If you are looking to spend 1 night or an entire weekend visiting contact me and I will take care of your room reservations as well as help with local attractions in the Baltimore area. Shoot me an email at jenngreene@destinationstoexplore or give me a call at 443-424-0181! Good Luck, Have Fun and remember to Gamble Responsibly. Who the heck can keep up with the discounts that come through your in-box everyday from some of your favorite vacation destinations? I know I can’t, and I see them everyday! Here is the most current list of all the discounts around Central FL for Fall/Winter 2014! 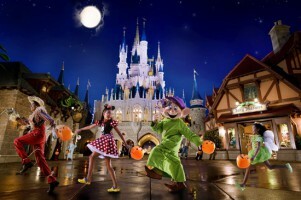 ●	Save up to 30% off Disney Resort Hotels: Do you want to bring the kids to Disney World for a getaway through fall? You still have time to save up to 30% off Disney Resort Hotels through November 25, 2014. ●	Florida Resident & Annual Passholder Rates: Florida Residents and Annual Passholders can take advantage of great rates on rooms at select Disney Resort Hotels up to 35% off through September 24, 2014. ●	New! Canadian Residents Save up to 20% Off: From November 2014-January 2015, Canadian Residents can save up to 20% off Disney Cruise prices on select cruises. ●	Air Tour Over Orlando: The air tour over Orlando’s theme parks is a great way to get amazing aerial views of Orlando’s most famous attractions. Piloted by an FAA-certified pilot, the flight offers you perfect views of Disney’s Animal Kingdom, Epcot, the Wide World of Sports Complex and more from 1,100 feet. This tour starts from $64! ●	See Oldest City in the United States with a St. Augustine Day Trip: Enjoy a day in America’s oldest town, Saint Augustine. On this day trip from Orlando, head east to the picturesque Atlantic-coast town, where you can wander the cobbled streets and enjoy a meal in one of the many promenade cafes. St Augustine is a unique city filled with colonial Spanish neighborhoods, magnificent buildings and a wonderful, old-time charm. Prices from $64! A few weeks ago we were lucky enough to visit Busch Gardens Williamsburg, one of the great perks of my job is that when a training is complete we get Complimentary tickets to visit the destination. Did you know Sea World Parks and Resorts now operates Busch Gardens Williamsburg? They have made a few great improvements to this classic park. Busch Gardens Williamsburg is an homage to the Old Countries of Europe, it showcases Italy, Germany, Scotland, England and France. The theming is great in each country with attractions, shows and food that really showcases that country. This used to be a park that was very adult oriented, owned by a beer company it was coasters and beers all day. Now it hosts 2 lands that are great for kids including a Sesame Street themed area as well as the Land of Dragons. 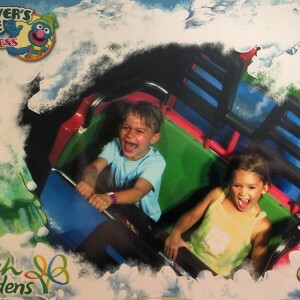 Our kids loved the Sesame Street area, they must have rode the coaster 40 times! 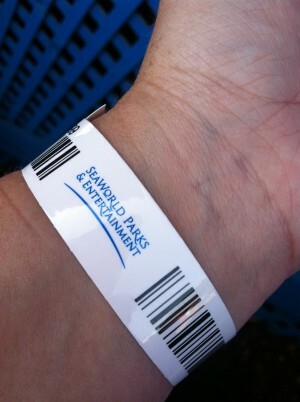 Much like other parks these days Busch Gardens is offering a “cashless” way to pay in the parks, its a wristband that they automatically load $50 on for you and it can be scanned as you go to enjoy food, drinks and souvenirs. I thought this was pretty easy, however they may want to make this a little more secure as there is no way to know that is really you charging it. So not sure what would happen if you lost the wristband. 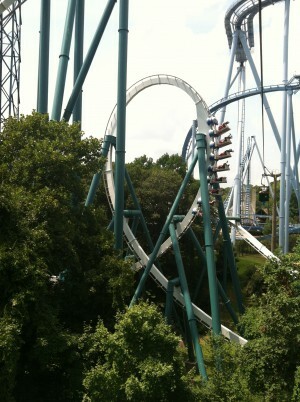 Busch Gardens is home to classic coasters like The Loch Ness Monster and Alpengeist. 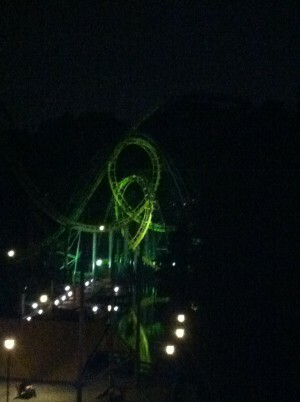 However it has added a few new coasters in recent years such as Griffon and Verbolten. Both of these are great coasters for enthusiasts. Griffon is a bit of a cliff hanger and Verbolten is an unexpected high speed launch coaster. Don’t miss out on either ride if you love coasters. The entertainment at this park is great! It offers a Live Irish Dance show, an Octoberfest party with live polka band, London Rocks stage show and much more. 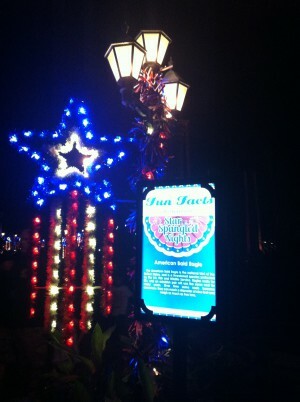 All summer long they end the night with a fireworks display that salutes America! If you are looking for a great day full of family thrills then be sure to put Busch Gardens Williamsburg on your must do list for family travel! I highly suggest going to Christmas Town if you like winter theme parks it really is fantastic. If you have already been to Busch Gardens Williamsburg what is your favorite attraction? Universal Orlando Resort and Warner Bros. will host the second annual “A Celebration of Harry Potter” event at Universal Orlando– a special event for fans celebrating the global phenomenon that is Harry Potter. Beginning January 30, 2015, fans will enjoy three days of incredible experiences – including the “A Celebration of Harry Potter” Expo, Q&A sessions with Harry Potter film talent and more. 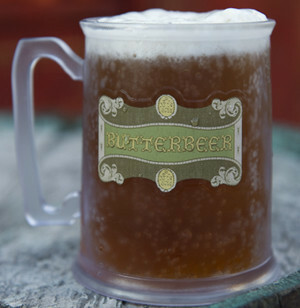 Special vacation packages, including annual passholder packages, will go on sale August 21, 2014 and will include exclusive benefits such as access to an exclusive evening event in The Wizarding World of Harry Potter – Hogsmeade and the all-new The Wizarding World of Harry Potter – Diagon Alley. Full vacation package details are below. 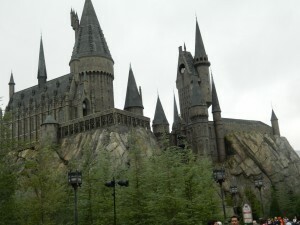 ◾Visit The Wizarding World of Harry Potter – Hogsmeade at Universal’s Islands of Adventure and The Wizarding World of Harry Potter – Diagon Alley at Universal Studios Florida. Plus, ride the Hogwarts Express between the two lands with a park-to-park ticket. While most of the activities for “A Celebration of Harry Potter” will be open to all Universal Orlando park guests and annual passholders, only guests who purchase the exclusive event vacation package or annual passholder package will enjoy certain special benefits and reserved seating for select events. Packages are limited and will go on sale at 1 EST on Thursday, August 21, 2014. All packages are LIMITED so please do not delay in requesting a quote! 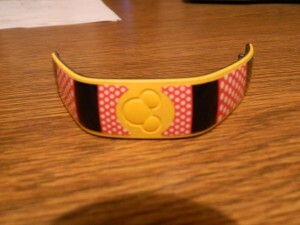 Tired of those plain Magic Bands when you go to Disney World? Wouldn’t you love to add a little something extra to dress it up? 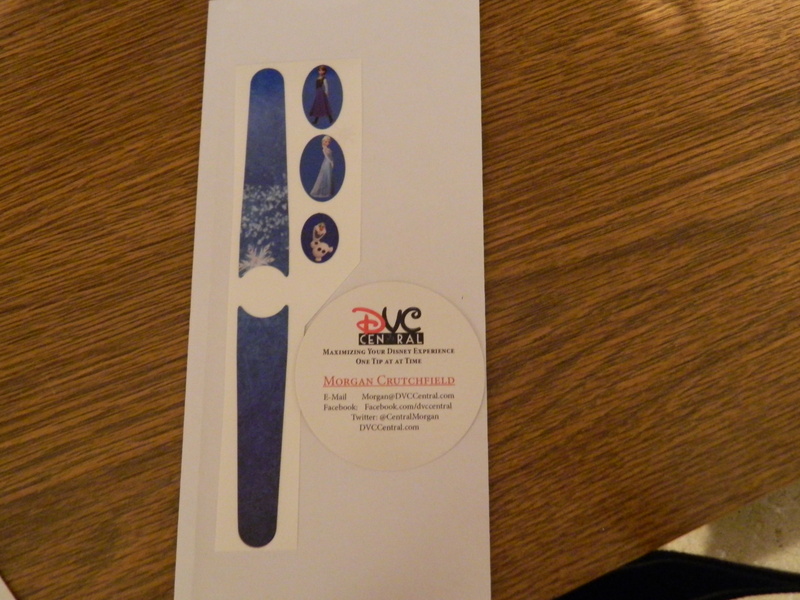 My friend Morgan over at DVC Central makes a product called Cover Bands. Cover Bands are vinyl decals for your theme park and fitness (Flex only) wristbands! They’re removable (not reusable) and waterproof. Cover Bands are really reasonably priced anywhere from $6.00 and up, depending on what you would like. And they ship for a flat $1 fee to anywhere in the world and can be delivered to your resort if you leave your name, name of your hotel, and check-in date in the COMMENTS section of your order. 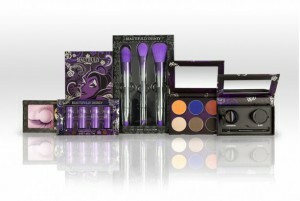 From the Classic Disney Characters, to Princesses and more Cover Bands well have you covered. When you get your Cover Bands they will come on a sheet just like the one below. Since we had a yellow Magic Band laying around we decided to try the Mickey Cover Band. 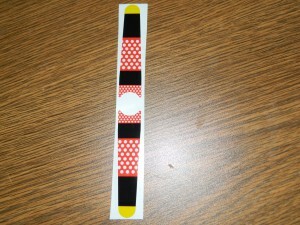 Just peel the Cover Band off the adhesive paper and apply to your Magic Band. Yes it really is that easy! 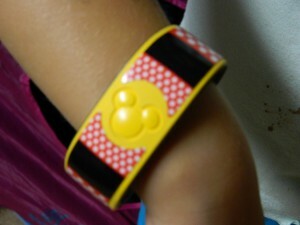 Then just put on your Magic Band and Rock Your Band in the parks of Walt Disney World Resort! Morgan was nice enough to offer me a FREE Cover Band for an honest review, and honestly I love them! If you would like to order one just visit DVC Central. Also, give Morgan a Follow on twitter @centralmorgan and Like her on facebook to keep up with the newest bands! But wait there is more!! Morgan was AWESOME enough to donate a Cover Band for me to giveaway to 1 lucky reader! All you have to do is comment on this blog post the band you would most like for your next trip and you will be entered to WIN a Frozen themed Cover Band courtesy of DCV Central. As you know I am normally upbeat and fun, however last nights news really hit me hard. I have never seen a post of a celebrity death and gasped with an “Oh No”, that is exactly how I responded to Robin Williams death. His films and him have been a part of my life, literally. To me he was that funny distant relative that you never knew personally but felt you knew. 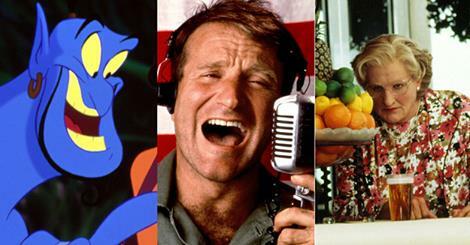 To me he will always be Popeye, Mork, Genie, Mrs. Doubtfire and Patch Adams those roles are just iconic Robin Williams. However he also had more serious roles in his career with Good Morning Vietnam, Good Will Hunting, 1 Hour Photo, Dead Poet’s Society and Awakenings. His talent knew no bounds, yet he was suffering with demons only those who know them can understand. I am tearing up as I write this. It’s a bit surreal to be affected by someone’s death you never knew. I suffer from depression, it’s dark and lonely at times however if treated you can manage it just like any disease. Too many people ignore the signs and it gets to a serious point that you can’t turn back from. Depression can stem from so many things, genetics, trauma, stress and so many other reasons. If you see someone that you think is suffering from depression talk to them and try to get them help. Don’t let those you love suffer and eventually succumb to the darkness that is depression, eventually they will be drowned by the dark place and the demons that come with it. Sadly, Robin was drawn down deep by his depression, and couldn’t find a way out other than ending his own life. Don’t let that happen to those you love, or even those you don’t know! Don’t wait until it’s too late, or think this will pass. Depression NEEDS to be treated, there is no other way out of it. I have mainly good days, but there are triggers that can turn a day bad, I know how to turn it around and get out of it. So many don’t know how to escape the demon that is depression. Please don’t let yourself or loved ones get caught in the dark depths. If you are reading this, know that you are not alone. 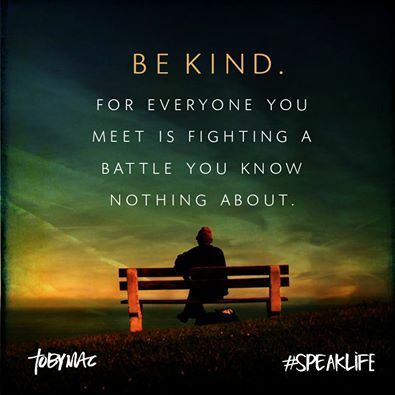 And If you need someone to talk to I am here, you may be someone I know or a total stranger. Doesn’t matter, if I can help I will. Always remember no matter what You Are Loved. What’s new around the Universe? New! 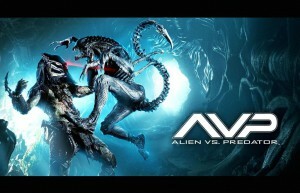 “AVP: Alien vs. Predator” house coming to Halloween Horror Nights 24: You will find yourself caught in the middle of the epic battle between the Aliens and Predators as you visit one of Weyland-Yutani’s secret facilities to assist with a critical situation. This Central American bio-weapons research facility houses several divisions that deal in extra-terrestrial technologies, specifically the Alien xenomorph species. Recently received surveillance shows the facility has been compromised by the Yautja—commonly known as Predators—who are relentlessly hunting the Aliens AND any thing in their path. New! Rock the Universe Tickets on Sale Now: Rock the Universe is Florida’s biggest Christian Music Festival. It’s an entire weekend of great music, real faith, best friends, fist-pumping rock, praise songs, autographs, shouts of joy, lifted hands and lifted hearts—and you can be a part of every second of it, from the very first scream to the final amen. Grab your friends and join thousands of other believers for a weekend of soul-stirring concerts from some of Christian rock’s brightest. In-between the concerts, scream and spin and laugh on action-packed rides in Universal Studios. This year’s event is September 5-6, 2014. Tickets start at $41 per day. Reminder! Diagon Alley is OPEN! July 8th marked the official grand opening of The Wizarding World of Harry Potter – Diagon Alley. Universal Orlando welcomed thousands of excited guests into the spectacularly themed land for the very first time with confetti, fireworks and a red carpet lined with dozens of cheering Diagon Alley team members. Wine Riffs Event at Hard Rock Hotel: Wine Riffs featuring Stag’s Leap Wine Cellars will take place Friday, August 8 at 6:30pm at The Kitchen. Listen to Elizabeth Delouise-Gant tell the stories of Stag’s Leap Wine Cellars, taste the culinary pairings from our chefs and feel the emotions of the soundtrack that tie them all together. Five Course Dinner + Pairings: $125 + tax and gratuity. New! Florida Resident and Annual Passholder Discount at Cabana Bay Beach Resort: Experience Universal Orlando® for less at the retro-themed Universal’s Cabana Bay Beach Resort, now open. This moderate and value priced property offers guests their choice of family suites complete with kitchenettes, or standard rooms, plus a wealth of recreation. With two huge pools, a lazy river, bowling alley, and more, it’s unforgettable family fun at a great value, right in the heart of Universal Orlando’s theme parks and non-stop nightlife. Special Summer Savings for Florida Residents and Annual Passholders – Rates Starting From $79 for Travel July 26 – August 31, 2014. Must Book by Aug 16, 2014. What’s new Around the Mouse this week? There are exciting new things popping up every day at the Walt Disney World Resort in Florida! 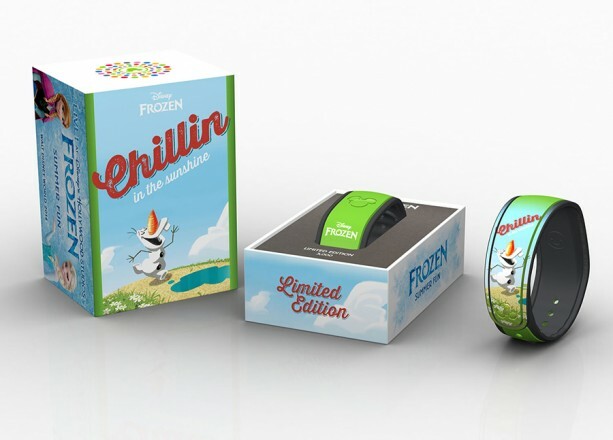 Join us every week to read about what’s new “Around the Mouse.” This week’s Walt Disney World news update features: new Frozen MagicBands, other new merchandise, special events and much more! ◾Service to Disney’s Port Orleans Resort, which is currently located at the Pleasure Island dock, will return to the Marketplace dock. ◾Service to Disney’s Old Key West Resort and Disney’s Port Orleans Resort will remain at the West Side dock. ◾August 7: Meet Disney’s “Planes: Fire & Rescue” director/co-writer Bobs Gannaway from 3 – 4 p.m. at Once Upon A Toy in Downtown Disney Marketplace, as he signs some of the new “Planes: Fire & Rescue” merchandise available at Disney Parks. ◾August 7 – 11: Find the latest releases from Precious Moments doll designer and artist Linda Rick at Once Upon A Toy in Downtown Disney Marketplace. ◾August 14 – 17: Keep an eye out! Renowned artist David E. Doss will be appearing daily at Art of Disney in Downtown Disney Marketplace. Stop in and find a new piece of art to add to your collection! ◾August 14 – 17: It’s time for you to check out the latest releases from international artist Larry Dotson, who will be appearing throughout the day at Main Street Cinema in Magic Kingdom Park. 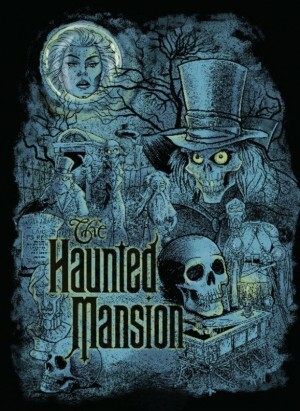 ◾August 23: Keep an eye out for spellbinding commemorative T-shirts and more as part of the “Villains Unleashed” event at Disney’s Hollywood Studios. Remember, a separate ticket is required to attend this event. 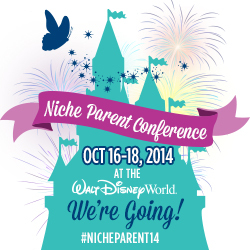 If you are thinking of going, purchase tickets now at http://www.DisneyVillainsParty.com or by calling 407.939.1933. ◾August 29: Be sure to pick up a copy of Tinker Bell: An Evolution, a full biography about everyone’s favorite fiery fairy by author Mindy Johnson. Mindy will appear at Art of Disney in Downtown Disney Marketplace from 3 – 4 p.m., alongside special guest and Disney Legend, Alice Davis. Tip: Also being released during the event is Marc Davis: Walt Disney’s Renaissance Man. Stay tuned every week for updates and new events Around the Mouse! Our first visit we loaded up the family truckster and hit the road, 16 hours from Maryland. I don’t remember the car ride, praise the lord for that! I remember we stayed off-site at the Disney Village. That was neat, I believe it’s now called Downtown Disney soon to be Disney Springs. This trip was also full of River Country fun, It makes me sad that its just rotting away. I hope they at least do something with the land. We returned to Disney a few years later but we flew this time and stayed in a Magic Kingdom View at the Poly. I have great memories from that trip, probably because I was a little older. For nostalgic reasons I want to stay at the Poly with my girls, because that’s where we stayed when I was a kid. 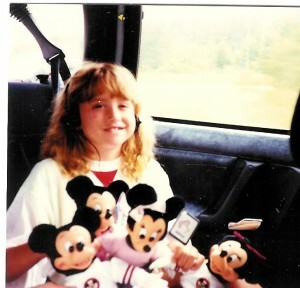 When was your first visit to Walt Disney World? Do you hold any nostalgic feelings about those visits? I would love to hear your memories!